2008 AMS Monte Carlo Clay (O) SF Federer 63 3-2 ret. A second consecutive Grand Slam semifinal meeting for Federer and Djokovic. Djokovic saved 2 match points in his 5-set victory over Federer in the 2010 US Open semifinals. This is defending champion FEDERER’S 8th consecutive Australian Open semifinal, an Open Era record. By reaching the semifinal here this year, he has extended his record for the most consecutive semifinal appearances at the Australian Open. 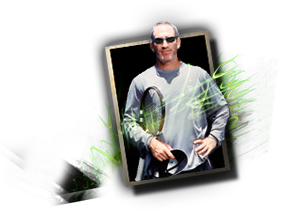 He also holds the Open Era record for the most consecutive semifinal appearances at Wimbledon (7) and Roland Garros (5). Federer is the only player in the Open Era to have made 7 or more straight semifinal appearances at multiple Grand Slam events, having achieved this at the Australian Open, Wimbledon and the US Open. Federer is bidding to become the 2nd man in history to win 5 Australian Open titles. The last man to do so was Roy Emerson, who won his 5th Australian title in 1966 before he went on to win his 6th Australian title in 1967. Federer is looking to reach his 23rd Grand Slam final, and extend the all-time record that he took sole ownership of at 2009 Wimbledon. Federer has a 22-4 record in Grand Slam semifinals. Last year, Federer won the title here (d. Andy Murray 63 64 76). He also won the Australian Open title in 2004 (d. Marat Safin 76 64 62), 2006 (d. Marcos Baghdatis 57 75 60 62) and 2007 (d. Fernando Gonzalez 76 64 64). By winning his 16th Grand Slam title at the 2010 Australian Open, Federer extended his lead at the top of the all-time Grand Slam titles list in men’s tennis. Five women have won more Grand Slam singles titles than Federer (see Preview page 2). Federer enters today’s match on a 15-match winning streak. He won the 2010 year-end ATP World Tour Finals (d. Rafael Nadal 63 36 61) for the 5th time and warmed up for the Australian Open by winning the title at Doha (d. Nikolay Davydenko 63 64). The last time he won at Doha, in 2006, he went on to win the Australian Open title. This was the last time that any player who won a pre-Australian Open tournament went on to win the Australian Open title. 2011 Doha was also Federer’s 67th career title. He is in 4th place on the all-time career titles list, behind Jimmy Connors (108 titles), Ivan Lendl (94) and John McEnroe (77). The next active player on the list is Rafael Nadal, who has won 43 career titles. Federer is attempting to become the first player to successfully defend a Grand Slam title since he achieved the feat at the 2008 US Open. This is Federer’s 45th straight Grand Slam tournament which puts him in 4th place for the longest streak of consecutive Grand Slam Open Era appearances. He has only retired during a match once in his career, at the Belgian International Junior Championships aged 16. So far in his career every time Federer has won the first 2 sets of a Grand Slam match he has gone on to win the match. He currently has a 169-0 win-loss record when winning the first 2 sets of a Grand Slam match. Federer won 5 titles in 2010. As well as the Australian Open and the ATP World Tour Finals, he also won at Cincinnati-1000 (d. Mardy Fish), Stockholm (d. Florian Mayer) and Basel (d. Novak Djokovic). He finished the year in the Top 2 for a record 8th straight year. Federer is the oldest man to reach this year’s semifinals at Melbourne Park aged 29 years 5 months. The last player aged 29 or over to win a Grand Slam title was Andre Agassi, who won the 2003 Australian Open aged 32. Federer began working with Paul Annacone, who coached Pete Sampras to 9 of his 14 Grand Slam titles, in July 2010. He is here as usual with Swiss Davis Cup captain Severin Luthi. His fitness trainer is Stephane Vivier (since October 2009). DJOKOVIC has advanced to the semifinals here for the first time since he won the 2008 Australian Open title (d. Jo-Wilfried Tsonga). That year, he defeated Federer in the semifinals en route to his only Grand Slam title. The last time Djokovic finished runner-up at the US Open, he went on to win the title at the Australian Open. He lost to Federer in the final at the 2007 US Open before winning his only Grand Slam title at the 2008 Australian Open. Djokovic is one of only 5 players to have multiple Grand Slam wins against Federer: Nadal (6 wins), Alex Corretja, Arnaud Clement, Djokovic and David Nalbandian (2 wins each). This is Djokovic’s 7th consecutive Australian Open. He lost in the quarterfinals here for the past 2 years, losing to Andy Roddick in 2009 and Jo-Wilfried Tsonga in 2010. Last year, Djokovic reached the quarterfinals or better at all four Grand Slams for the first time in the same season. Djokovic is one of 2 Grand Slam champions (could be 3 depending on the outcome of Wednesday’s night match between No. 1 Rafael Nadal and No. 7 David Ferrer) to reach the semifinals here. He is the only man through to the semifinals who is bidding for a 2nd Grand Slam title. 25 of the 51 Open Era Grand Slam singles champions also belong to the ‘One Slam Wonder’ club, lifting a sole Grand Slam title in the Open Era. Djokovic is the only male Serbian Grand Slam champion and also the only Serbian man to appear in a Grand Slam final. He is bidding to become the 13th man in the Open Era to win multiple Australian Open titles. In 2010, Djokovic finished the year as No. 3 for a 4th straight year. He won 2 titles, successfully defending his titles at Dubai (d. Mikhail Youzhny) and Beijing (d. David Ferrer), taking his hardcourt title total to 14. He is in 4th place (joint with Andy Murray) on the list of active hardcourt title leaders behind Roger Federer, Lleyton Hewitt and Andy Roddick. He also reached two finals, at the US Open (l. Rafael Nadal) and Basel (l. Roger Federer). Djokovic took part in the Hopman Cup alongside countrywoman Ana Ivanovic prior to the Australian Open. He won all three of his singles matches against Andrey Golubev, Lleyton Hewitt and Ruben Bemelmans, helping Serbia to qualify for the final before Ivanovic was forced to withdraw with an abdominal injury. Djokovic was a semifinalist in the 2004 Australian Open boys’ singles (l. Josselin Ouanna) and doubles (with Scoville Jenkins). Djokovic was instrumental in helping Serbia win its first Davis Cup title in 2010. He was undefeated in 7 singles rubbers throughout 2010 and shaved his head immediately after winning the historic trophy against France in Belgrade. Djokovic is coached by Marian Vajda.